SuperSharp, now on at the Fashion Space Gallery, is an emporium of all things aesthetically and sonically Jungle. The exhibition is the first instalment of the Return II Jungle series that explores the British subcultural scenes of Jungle and Garage. Conceived by curator Tory Turk and music producer Saul Milton, of Chase & Status, the exhibition explores the appropriation of Italian fashion brands by British underground music scenes of Jungle and Garage. Club night ‘Thunder & Joy’ held at RAW, 1994, photography Mark Alesky. By delving into Saul Milton’s archive of namely Moschino garments acquired in the nineties, the exhibition visually reconstructs the aesthetics of the British subculture. The underground scenes emerge aboveground as a crystallised history, a collective nostalgia narrated by key figures like Goldie, Jumpin’ Jack Frost and MC Nyke. The printed anecdotal narrations are accompanied aurally by popular sounds of the era which pierce through the headphones situated around the space. Exhibition view: SuperSharp at Fashion Space Gallery, 2018. The exhibition emerges at a time of renaissance for the Jungle and Garage aesthetic, both visually and sonically. In recent seasons, there has been an evident resurgence of repeated logo iconography adopted and styled through a nineties lens, albeit on the ready-to-wear or streetwear scenes. Many see this as a reference to nineties subcultural scenes, which of course includes Jungle and Garage. At its height, the sound's hyper speed, breakbeats and baselines were reflected and rendered visible in bold hues and subverted graphics on clothing plagued with logos of Moschino, Fendi and Gucci. Sound and style became intertwined, indispensable from one another, and indicative of socio-political positions and perspectives of life. Club night ‘Heat’ held at Hastings Pier. Photography Tristan O’Neill, 1997. Exhibition view: close-up of the Moschino logo print garment. Many of Jungle’s alumni were institutionally marginalised, however within the realms of the rave a new system was in effect. Empowered by the eclectic brazen sounds of Jungle, the rave offered an opportunity to dismantle and reconstruct the identity prescribed by society’s classifications. In this way, the designer logo epidemic and overall ostentatiousness adopted was not solely a preferred way of dressing, but served as a visual political statement. In line with the theory of conspicuous consumption, this persistent display of designer labels sought to proliferate prestige and social status, in a similar way to Hip-Hop culture in nineties´ America. “The 90’s rave culture came in, with its own twist on Italian brands like Versace and Moschino leading the charge, taking it into the street culture like we had never seen before […] even those Italian fashion houses weren’t ready for how cool we made ‘em look;” explains musician Goldie. In this way, British rave culture of the nineties appropriated and restyled Italian brands to visually replicate the boldness of their sound. This was evidence of trickledown theory. however, after realising the opportunity afforded by these subcultures, brands like Moschino appropriated the appropriator. 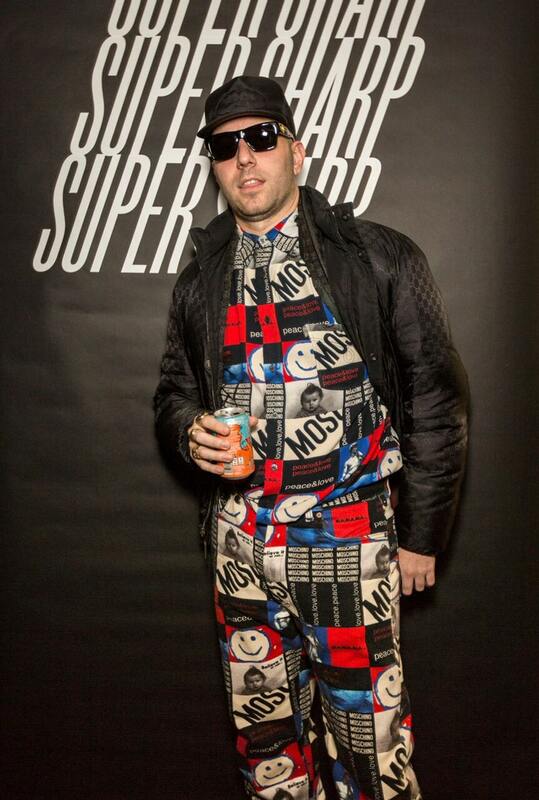 As noted in a film by Ewen Spencer, featured at the private viewing, Saul Milton was invited to join Moschino by founder Franco Moschino. SuperSharp, and the wider series of exhibitions, seeks to reclaim the visual identity of Jungle and Garage. 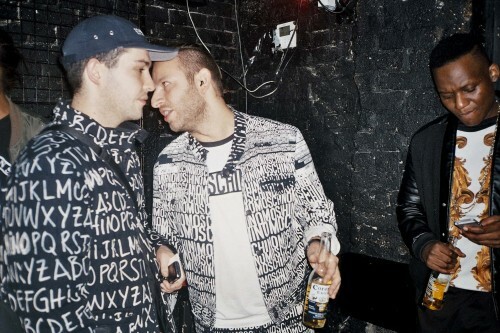 The underground subculture is recontextualised by its newfound home at Fashion Space Gallery. This recontextualisation reaffirms and certifies the visual aesthetics of Jungle and Garage. Organised by the subtitles: Bravado, Street Rich, Logomania, Tailoring, Garage Girls, Off-key Mosch, and Footwear. Each of the subtitles references a key component of the Jungle and Garage aesthetic. Club night ‘Desire’, photography by Tristan O'Neill, 1997. As the first instalment of the Return II Jungle series, SuperSharp sets the stage for further explorations of the symbiotic relationship between fashion and music, through a UK-specific lens. Constituted by narratives, garments, and sounds, Tory Turk and Saul Milton have recontextualised Jungle and Garage, giving the public an opportunity to revel in the crystallised collective nostalgia of nineties rave culture in London.